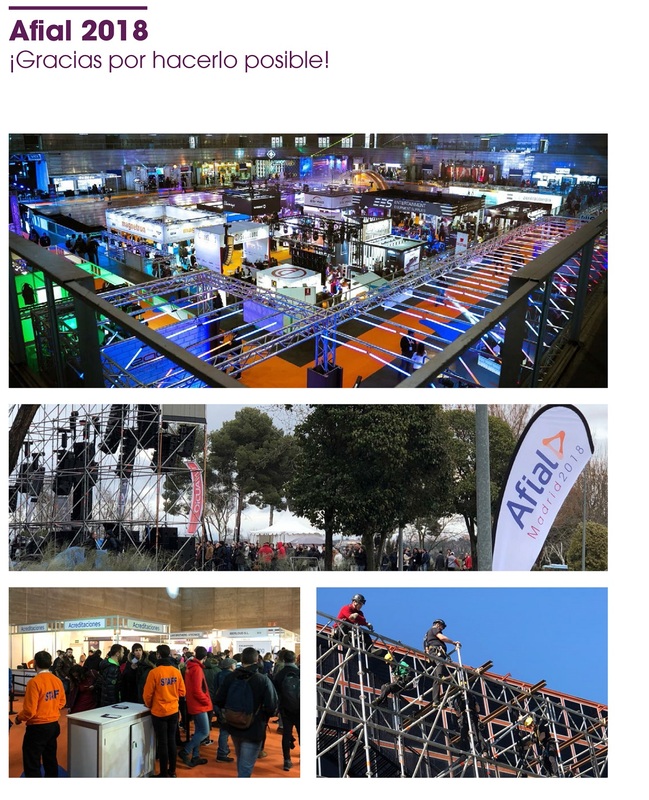 AFIAL 2018 closed its doors on March 1st with a new record of participation and attendance. 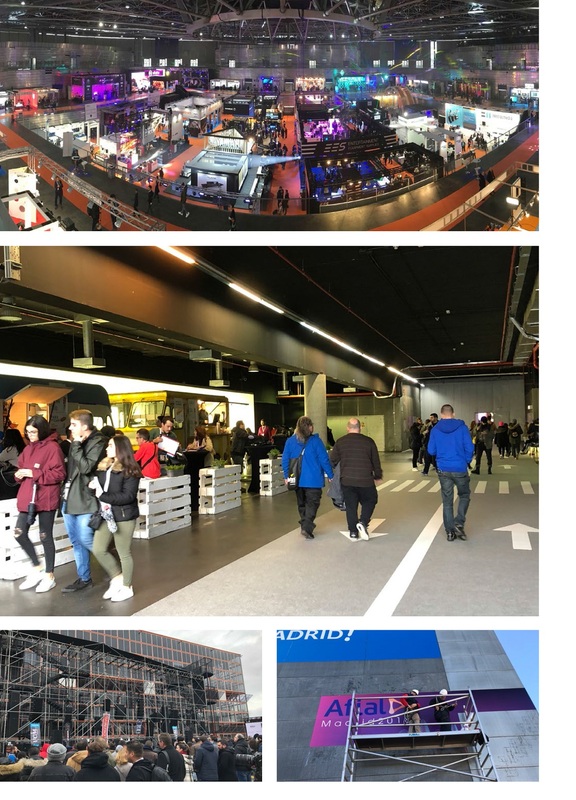 Gone are three intense days of fair marked by the very high volume of visitors and a professional and business environment that undoubtedly favored the birth of new business relationships. 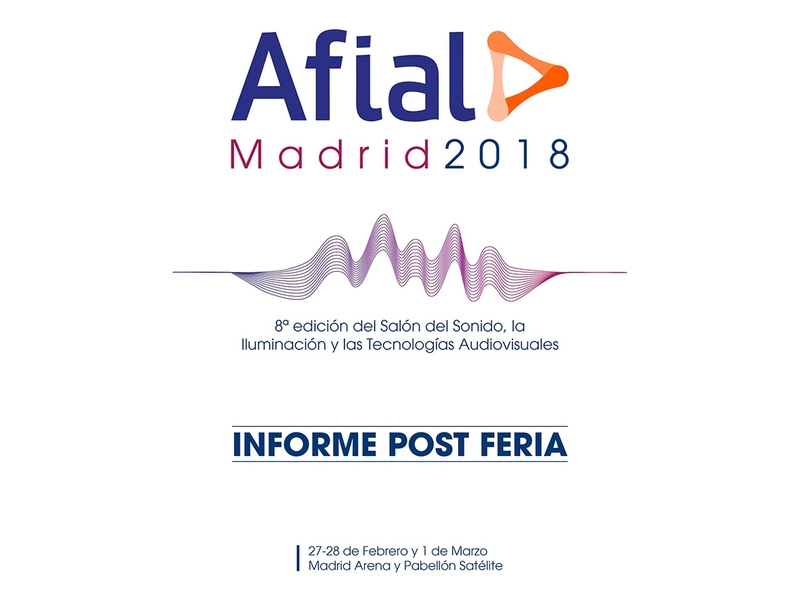 Despite the weather conditions that sometimes affected the development of the planned activities, Madrid was, once again, the capital of Sound, Lighting and Audiovisual Technology thanks to AFIAL FAIR. AFIAL 2018 was held on February 27th and 28th and March 1st at the Casa de Campo fairgrounds and showed a high level of improvement over previous editions. 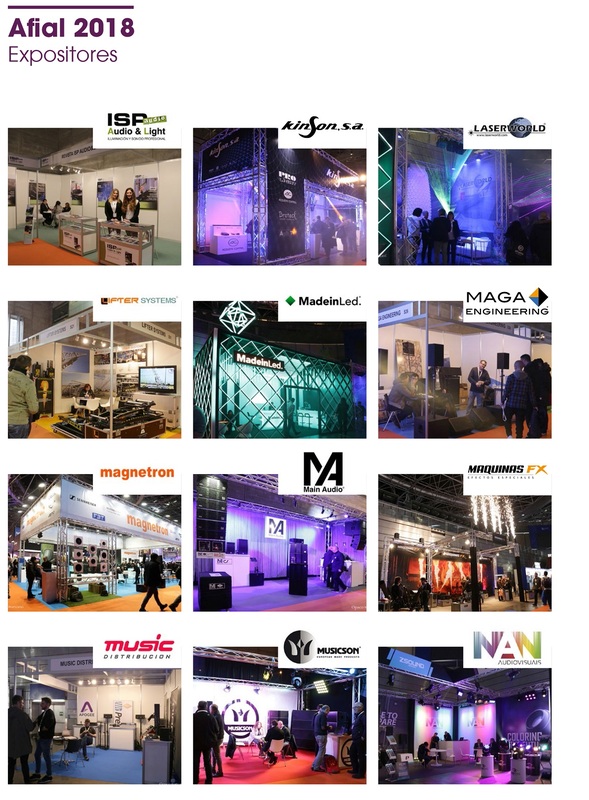 In this sense, if in the edition of last year 2016 the Arena Pavilion witnessed an atmosphere of unbeatable light and sound, AFIAL 2018 was a step further incorporating the Satellite Pavilion to the exhibition surface of the event. 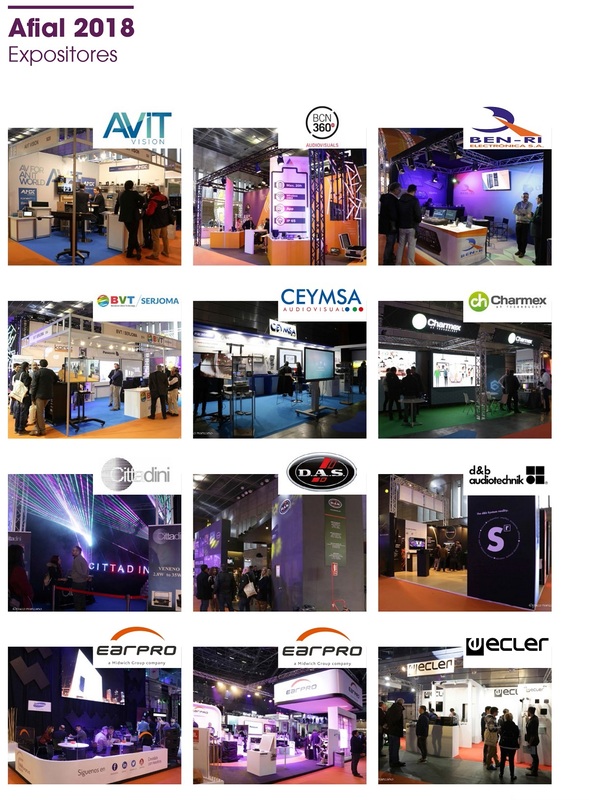 Undoubtedly, this great expansion of space was well received by the public and exhibitors, who thanked the organization for its attention and the good atmosphere prevailing in the event. But the most important thing is that during 3 days the professionalism and dedication of all the participants in the 8th edition of AFIAL FAIR could be appreciated, who did not hesitate to attend the more than 7,000 visitors of professional and student public who could witness the products of the more than 400 brands that gathered at the event. 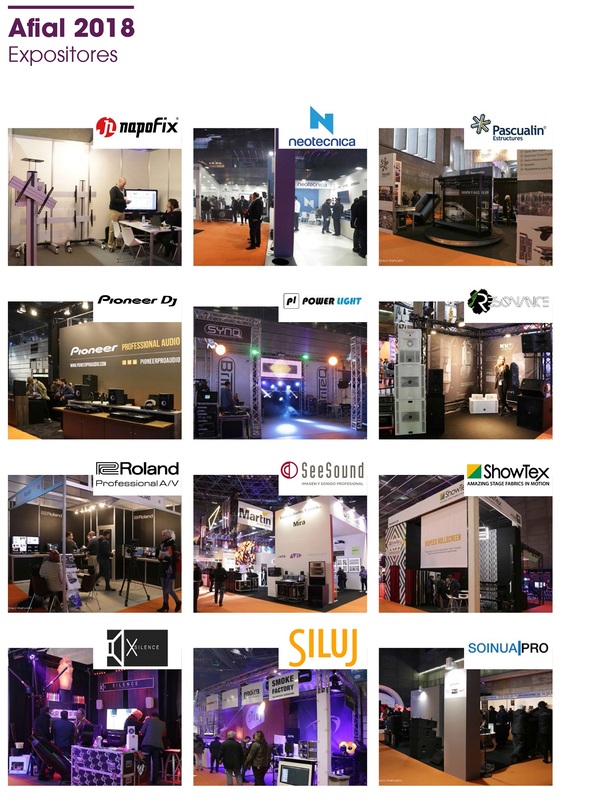 These companies brought the novelties of the market and allowed visitors to interact with each of them, whether through the best visual effects, the most advanced sound solutions or DJ tables. Although the inclemencies of the weather also had their part of protagonism in certain moments of the event, the outdoor sound demonstrations returned to be one of the most attractive activities of the AFIAL FAIR. 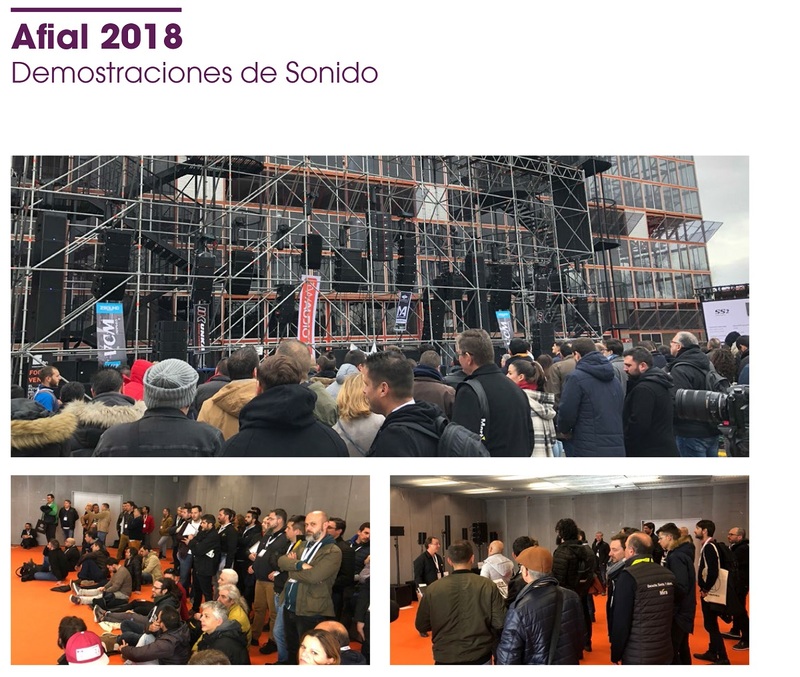 The best line array teams came together in the exterior sound demos that AFIAL offered in the back of the Palacio de Cristal. A unique structure that, for the first time in Spain, housed 12 stereo sound systems and caused a great deal of excitement among the public. 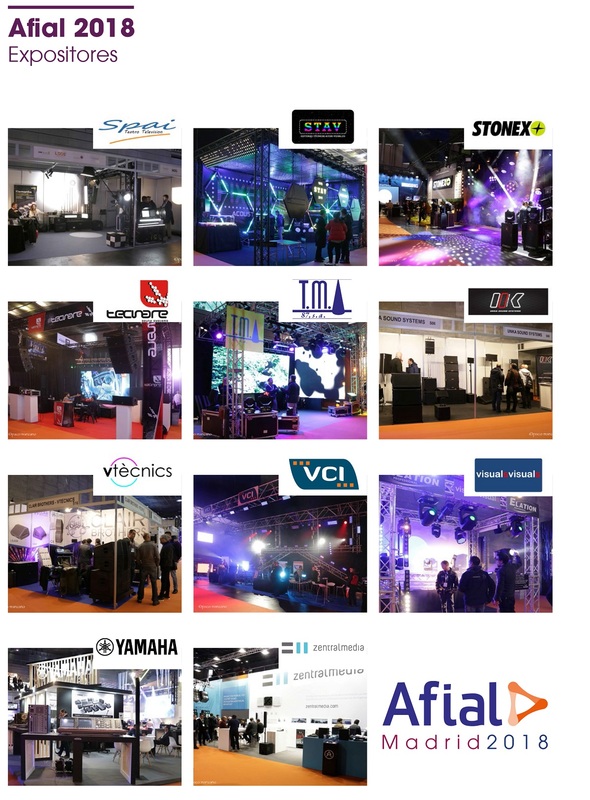 And it is that the visitors, sometimes even with umbrellas and raincoats, did not hesitate to enjoy the best sound from the hand of the most powerful brands in the market. No less important were the indoor sound demonstrations, in which small column and P.A. laptop gathered around dozens of attendees who filled the demo room very interested in explanations and details about their characteristics. 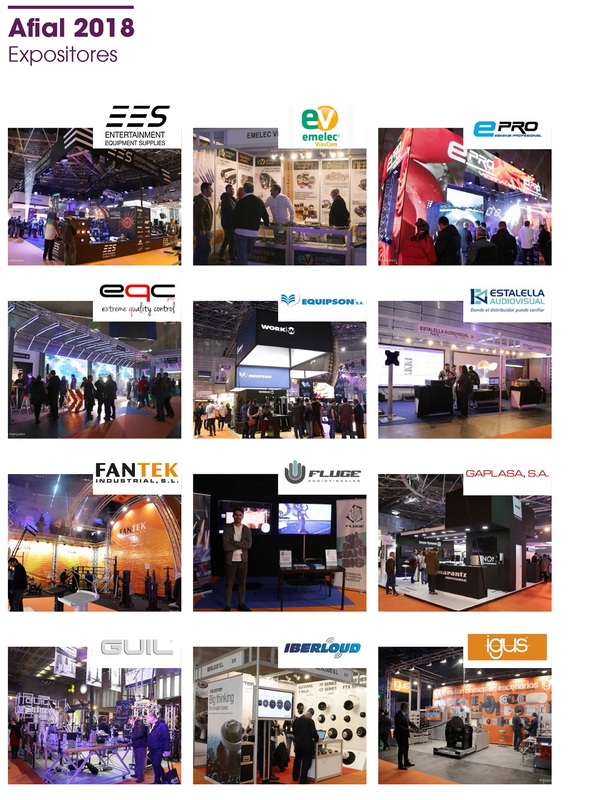 The 8th edition of the AFIAL FAIR strengthens and consolidates the position of a contest that, thanks to the support of companies and visitors, continues to be the leading fair for the AV Industries of Spain and Portugal. The business environment that was the protagonist in the 3 days of the fair was the best proof that the sector is experiencing an undoubted economic recovery. Now the event moves, one more year, to Lisbon (Portugal). After the success of AFIAL IBÉRICO 2017, the organization is already working on a new edition of the contest. For the moment, the dates and place chosen for its celebration have already been confirmed. AFIAL IBÉRICO 2019 will be held on May 15th and 16th next year at the Sala Tejo facilities of the ALTICE ARENA fairgrounds. 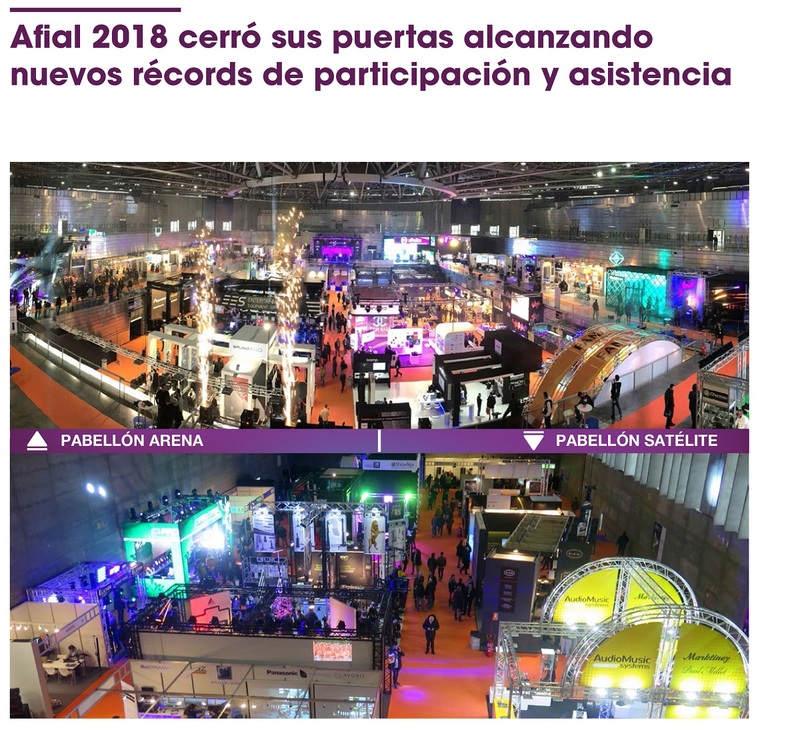 In addition, the organization has also announced that it is already working on AFIAL 2020 and has confirmed that it will be held at the Casa de Campo fairground facilities on 3rd, 4th and 5th March next 2020. 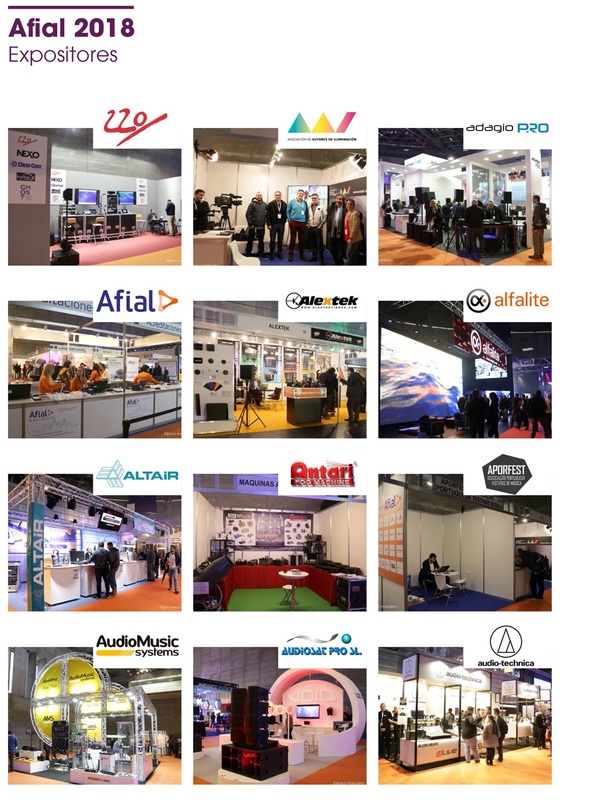 Thanks to all the participants, visitors and exhibitors who made Afial 2018 possible. Access the official video and relive the best moments of this edition! Download HERE the full report in PDF.